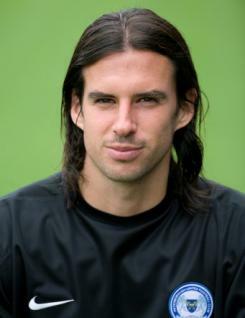 George Boyd has been a key attacking player for Peterborough United since joining from Stevenage Borough back in January 2007. He is skilful on the ball and has the ability to beat defenders and create chances as well as being an excellent finisher. George has been a regular first-team player since his arrival at London Road and in October 2009 he set a new club record of 124 consecutive appearances marking the occasion by scoring a rare headed goal against Bristol City. Early in March 2010 he was loaned to Nottingham Forest to assist in the Reds? efforts to earn promotion to the Premier League but made only a handful of starts before returning to Posh. He was a regular in the team during 2010-11 finishing as second top scorer with 17 goals during the campaign. George has previously been capped for the England C team and also by Scotland.